Good sized tent. Roomy enough for three comfortably. I love this tent! Got it back in 2008 and have used it ever since. It's super easy to set up and is large enough to comfortably hold three people. 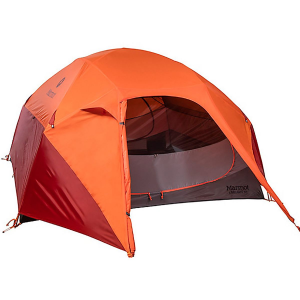 I can't believe this tent has been reviewed but having bought one for an impromptu camping trip I feel compelled to right one. I give 3 stars for the price and ease of setup. Sleeps two pretty well and the vestibule is usable, however with two campers inside you wake up surrounded by condensation the likes of which I've never seen. I can say though that it never dripped on me or my gear, but if you touch the walls you will get wet. Withstood about 25mph winds pretty well. The other reviews do tell pretty the story of how convenient this tent is. Easy, simple, light, big enough for 2, but great for 1, and innovative. Fairly waterproof when seam sealed, too. But here's the reasoning behind the 2 star review: I've never been in a tent with more condensations. This was set up in August in the Northeast, and the temps really dropped at night. But this was ridiculous. Possible the condensation would be better with one user? Sure, but still, it just doesn't have the ventilation necessary to make it on the trail. Car camping probably ok, but if you are camping, what do you care about carry weight and size?! For a tent stating it sleeps two, it is a great size for one backpacker. 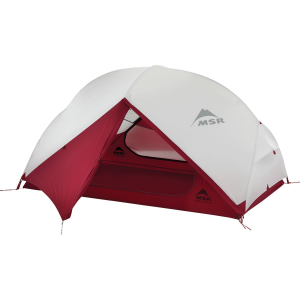 Make sure you seam seal and waterproof this tent otherwise it will slowly start to leak. Once done it makes for a easy setup with a hiking pole and built in supports in the corners. The vestibule could use a footprint, but makes due for a backpack. My brother and his girlfriend used this same tent when they forgot their tent. They slept fine, but left their gear under the fly shelter. I purchased this tent off of an auction site ,new,for $10, plus shipping. Being an unrepentant gearhead I was very curious about the design and quality. I set the tent up, out of the box, just before a series of thunderstorms was predicted. I was very curious to see how waterproof it was. Needless to say there were numerous leaks. This is a single wall tent. The seams in the roof were taped, but after several hours of steady rain they started to leak. There were also several other areas of leakage. The next day I double seam sealed everthing and this stopped all leakage. 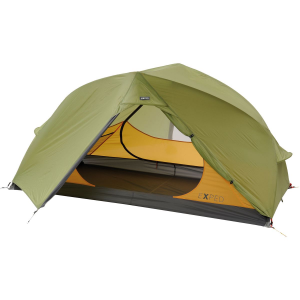 The tent is supported by built in struts in each corner and a hiking pole, the hiking pole is included with the tent. There are several things I like about this tent. It is waterproof after being seam sealed. It is cheap, moneywise. 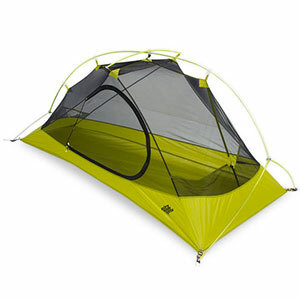 It has plenty of headroom at the front of the tent and is fairly well ventilated. 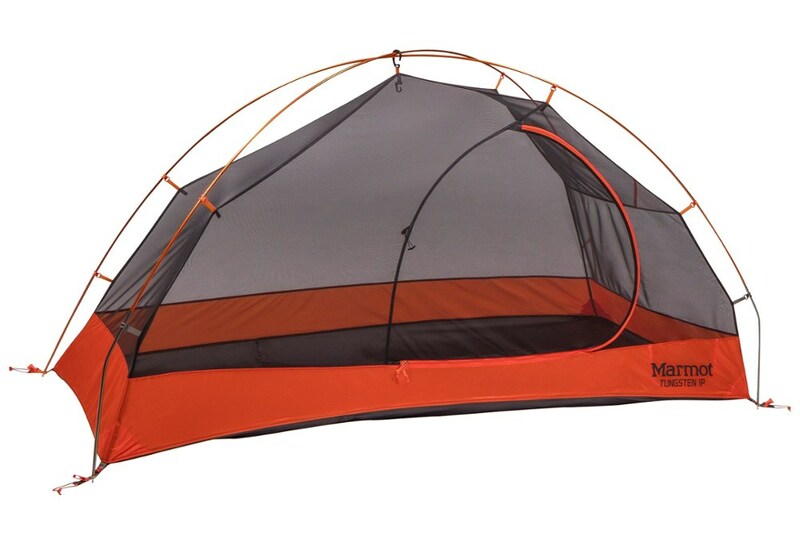 The front of the tent consists of screening, there are two vents in the top of the tent as well as a vent at the foot of the tent. Also there is a good sized vestibule. I would not take a $10 tent out for several months on the AT, but for an overnighter or a weekend trip it would be fine,especially if you're on a tight budget. 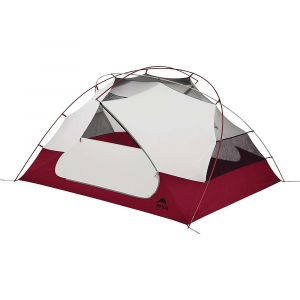 The Swiss Gear Hiker Tent is not available from the stores we monitor.